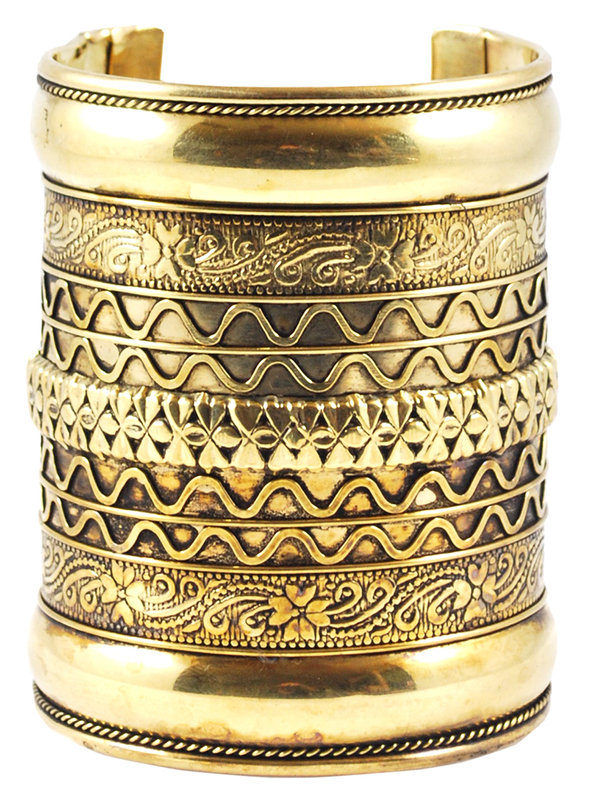 This large metal tribal arm cuff / bracelet makes a dramatic accent piece for any belly dance costume or party attire. 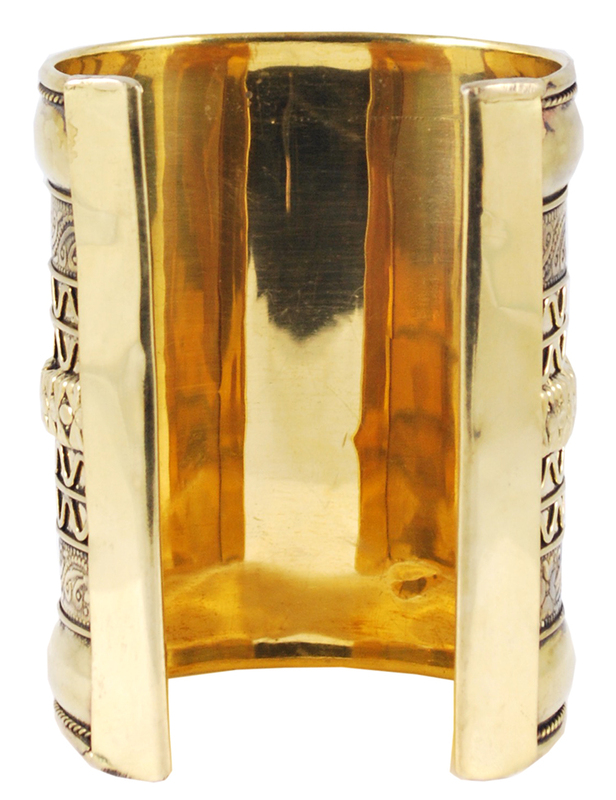 This large metal tribal arm cuff / bracelet makes a dramatic accent piece for any belly dance costume. Actual pattern may vary. Made in India. If you like bold---you gotta get a pair of these. Nice shiny gold and a real eye catcher for the stage or performances. Every time I wear them I get compliments. These were substantial bracelets! For the price, I honestly expected lighter weight flimsier jewelry. These were wonderful! love my cuffs love, the service. lots of compliments. bought a pair as a gift for a friend, she had such a fit over them. got a pair in silver,too. Thank you for such a great price on such a pretty bracelet! Awesome bracelet, good price, exactly as described! Thanks! !